Can you believe that noodles have been around for over 4,000 years? Noodles are popular all over the world and range in shape from flat, to round, to twisted, to sheets, to tubes, and many more. They can be made from rice, buckwheat, wheat, with or without eggs and even now from zucchini. So get ready to celebrate National Noodle Day on Oct. 6 by doing the best thing possible with noodles… eating them! Instant ramen was invented in Japan, where it initially was considered a luxury food and was priced at 6x fresh noodles! Thomas Jefferson returns to the US after several years in France and brings back two cases of pasta. Noodles become popular in Europe, especially Italy. Some now credit Marco Polo with bringing them back from China, though he was not the first. Arab traders may have brought them first. Noodles were invented in China. Making noodles is not nearly as hard as it seems. Water, flour, salt, and an egg is all you need... mix the dough, roll it out flat then into a 'jellyroll' shape, and cut into strips. Now get to it! As a much simpler alternative to making your own noodles or pasta, go try out that new restaurant that serves noodles. Search for Noodles on Yelp and see where your noodle adventure takes you, whether it is to Italian, Korean, Chinese, American or Japanese, the choices are endless. Search out your local cooking school and sign up for pasta making class. You'll learn so much about making noodles and pasta that you'll have spaghetti coming out of your ears. If you're health conscious or on a low-carb or no gluten diet, there are still a ton of noodles out there for you! People love noodles so much that they are now made of such things as, black beans, Mung beans, Quinoa, Shikitaki, Kelp, and even zucchini. So don't limit yourself! You can still join in the fun of National Noodle Day. 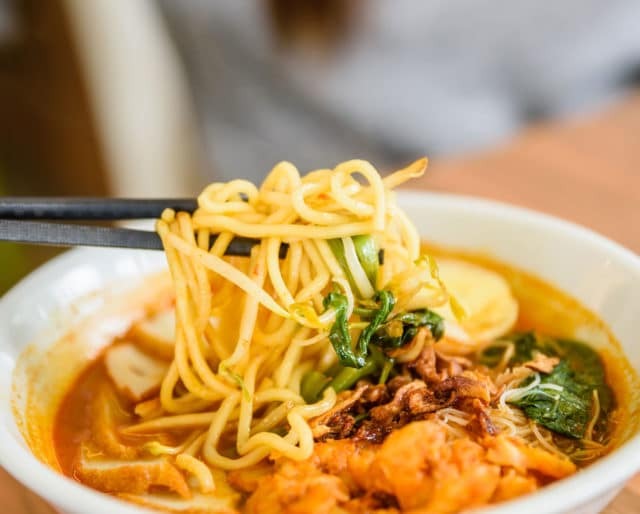 Eating noodles is super fun, whether you eat them with a spoon and a fork, chopsticks or by slurping them up like in "Lady and the Tramp" a noodle date can be a blast with friends or your significant other. Invite your friends out for a noodle night at any place you can get noodles.